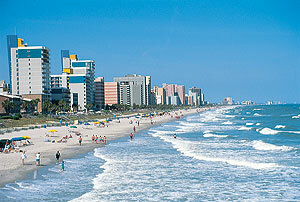 An extremely group-friendly destination, the Myrtle Beach area has something to offer every tour. This beautiful stretch of coastline is home to over 100+ golf courses, spectacular live entertainment, thrilling amusement parks, superb shopping and divine dining. Historical cultural and eco-tour adventures are set among plantation homes, picturesque gardens, and meandering rivers shaded by stately live oaks. With over 80,000 accommodation units to choose from, group planners are sure to find the perfect fit.